While smartwatches continue to divide opinion, it seems Apple’s most recent entry in the market, the Apple Watch Series 2, is selling well. The device is proving so popular that it just helped the Cupertino company become the world’s largest wearables vendor, a title previously held by Fitbit. Apple says "competitive reasons" prevent it from giving out precise Apple Watch sales figures. These latest numbers come from Strategy Analytics, which reports that global wearable shipments are on the increase – the 22 million units shipped last quarter represent a 21 percent jump compared to Q1 2016’s 18.2 million units. But it was Apple that saw the biggest improvement. 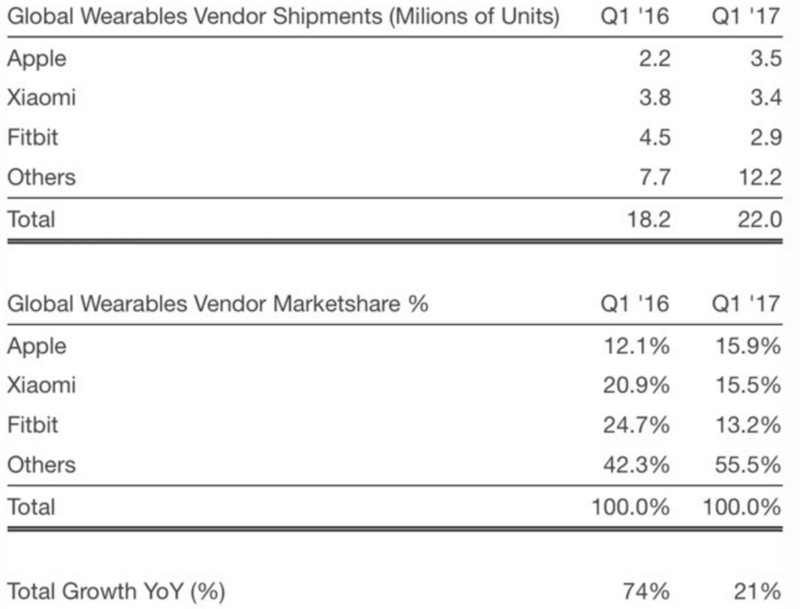 The company’s wearables shipments were at 3.5 million units during Q1 2017, up 59 percent from the same period one year earlier. The iPhone maker now holds just under 16 percent of the global market, putting it ahead of second-place Xiaomi’s 15.5 percent. It appears that the Series 2 smartwatch is behind Apple’s ascension to becoming the number one wearables company. "The new Apple Watch Series 2 is selling relatively well in the U.S., UK, and elsewhere due to enhanced styling, intensive marketing and a good retail presence," Strategy Analytics Executive Director Neil Mawston said in a statement. 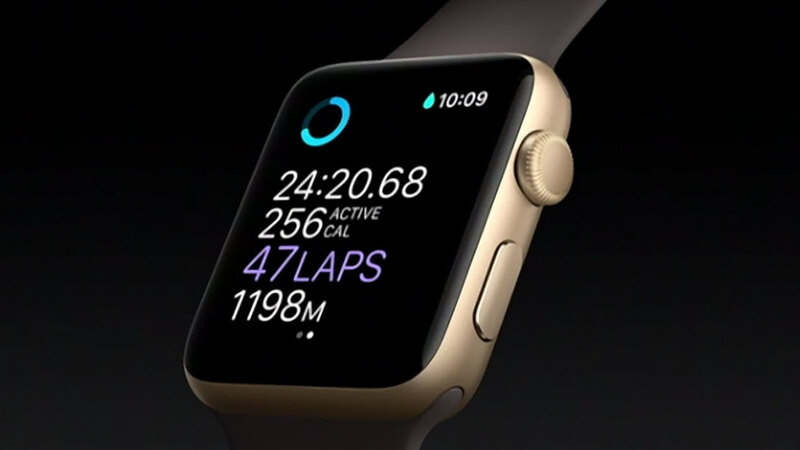 As noted by Mashable, other analysts have pointed to the device’s focus on health and fitness as being particularly appealing to consumers. While Apple is no doubt enjoying its new position, it’s a different story for the company it replaced at the top – Fitbit. The fitness tracking firm hasn’t had the best year; in January, it announced that around six percent of its workforce, or about 110 employees, would be laid off. Fitbit shipped 4.5 million wearables in Q1 2016, but that number fell to 3 million (the company has clarified it wasn’t 2.9 million, as Strategy Analytics reports) last quarter, putting in third place below Xiaomi. Its market share, meanwhile, decreased from 24.7 percent to 13.2 percent. It's similar to the current UnderArmor fad. People just wear the expensive gear to look good and play the tune, a small percent of them work out as much as they attempt to portray. Nike has been making that Dri-Fit material for 20+ years. I doubt I'll ever get a smart watch, but I'm happy with a fitness watch. My Fitbit Charge HR is really good and if/ when it breaks I'll likely just get the newest model. Does the Crapple watch app integrate with other apps like myfitness pal and weigtguru, etc to track your calories or weight? Does it even track sleep activity? Does the battery last for a week? Probably no to all of this. Fitbit from a strictly health tracker standpoint is a way better device. Apples sales are bases on consumers ignorance. wtg apple. I never bought an apple device where they would get my money. This analysis does not show the number of people owning a wearable device. I bought my used Fitbit on eBay at a very reasonable price. It has proved to be an excellent buy as a health and fitness device. Much as I like Apple I can't justify the expense of a Series 2 Watch. I own iPhone6, iPad Air and iMac. I may well 'upgrade' to another newer, but used Fitbit, as their supporting App and software upgrades are excellent.